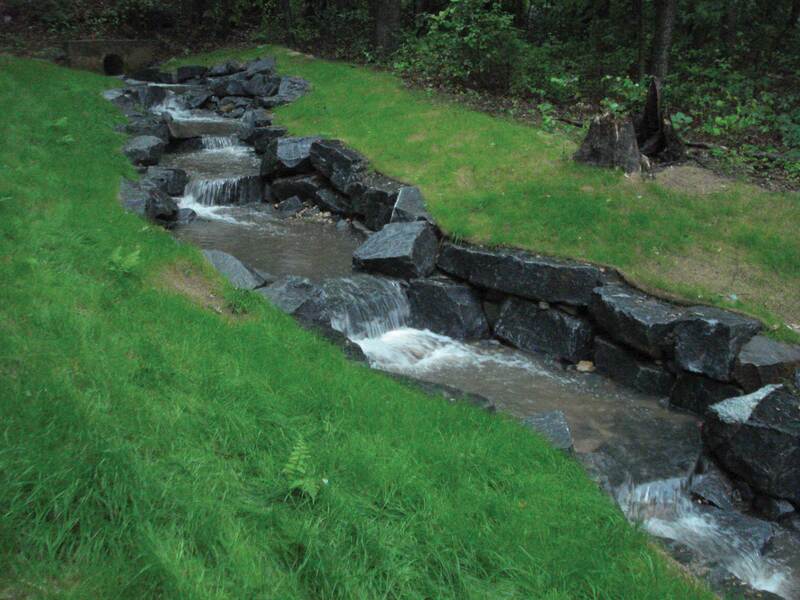 TDS is recognized as a leader in stream restoration development and the construction of wetland banks. Our experience working in stream channels has taught us that flexibly is the key to success. Often, the dynamic nature of streams requires adaptive construction techniques to handle field design modifications and variable conditions in the always growing and changing field of stream restoration. in the last five years alone we have completed over 20 full restoration projects, each of which was unique both in problem and solution. Most of the projects involved full channel realignment, and all projects included some form of soil bioengineering and aquatic habitat enhancement. For nearly every project we add new aquatic habitat and stabilization structures to our experience list.